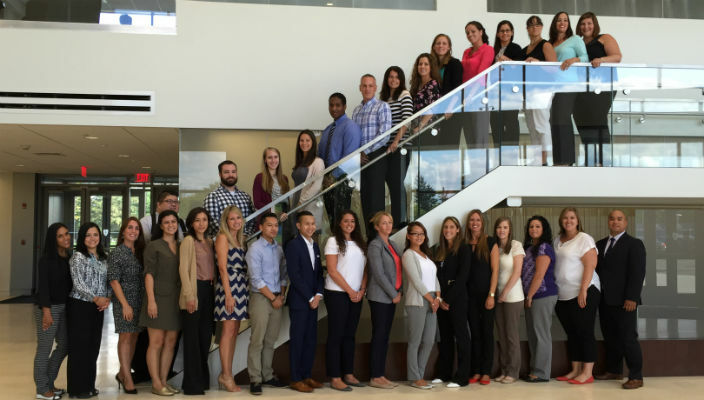 The inaugural class of nursing students in the new Hofstra North Shore-LIJ School of Graduate Nursing and Physician Assistant Studies gathered recently for a photo during their orientation. Thirty-two students are pursuing master’s degrees in family nurse practitioner or adult-gerontology acute care nurse practitioner programs. 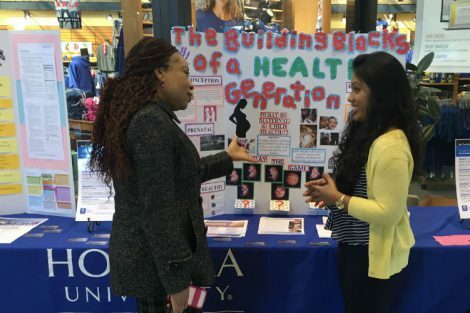 The school launched in March, expanding Hofstra and North Shore-LIJ’s successful medical school partnership to meet the increasing need for nurse practitioners and physician assistants to deliver community–based health care.